Brainerd Public Schools is seeking the community's input on the latest round of building plans for Brainerd High School, Harrison Elementary, the new elementary school in Baxter, and Nisswa Elementary over the next several weeks. The first phase of building planning—schematic design, where the scale, spatial relationships and conceptual floor plan are created—is nearly complete for Brainerd High School. Meanwhile, the three elementary schools are approaching completion of the next phase, design development, where the building plans are further refined and detailed. As each phase of each building's plan is completed, the board of education will have an initial review of the plans at one meeting and take action on those plans at the following meeting. The public is invited to review the building plans and provide input on them by visiting each school's page on the blueprint181.org website. A computer will also be available for the public to access the plans and provide input from 8 a.m. - 4 p.m., Monday- Friday, in the Welcome Center at the Washington Educational Services Building, 804 Oak St. in Brainerd. The input submitted by the public will be shared with the board of education and the project oversight team for consideration. The plans for each building will be added to blueprint181.org once they are ready to be presented to the board of education. 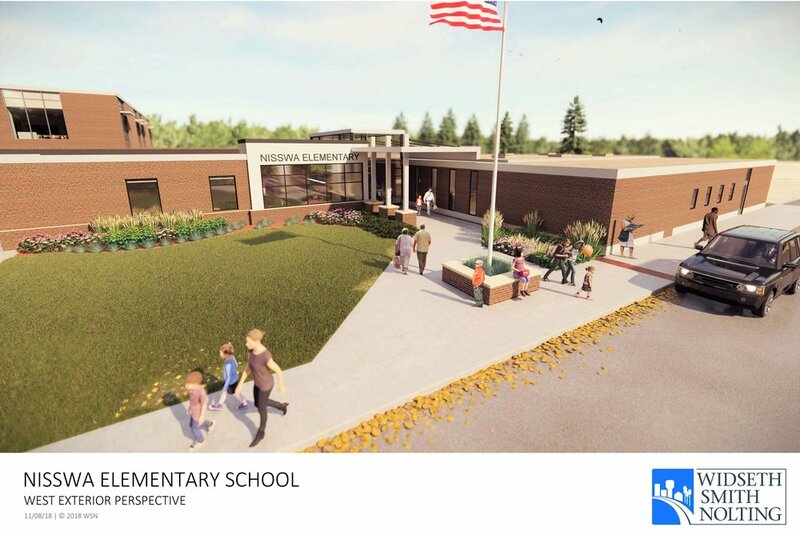 The design development plans for Nisswa Elementary are currently posted on blueprint181.org for public review and input. The plans will be presented to the board of education at its meeting on Monday, Nov. 12. Brainerd Public Schools will alert community members as new plans are added to blueprint181.org via social media (Facebook, Twitter and Instagram), isd181.org and an email to those subscribed to the Blueprint 181 newsletter. Community members may sign up for the newsletter at blueprint181.org.